I have also been approached many times by those selling kidnap & ransom insurance, for if the client gets kidnapped. Well, our aim with our clients is that they don’t get kidnapped in the first place! From what I understand, from those that have attended the overpriced kidnap and ransom seminars run by the insurance companies, is that all the attendees are told to do is call them if they have a problem. No one seems particularly concerned with preventing the kidnapping in the first place. From some of the incidents I have briefly discussed you should understand that being kidnapped is not a pleasurable experience, unless you’re a pervert. The victims run the risk of beatings, torture, sexual assault and lifelong psychological problems if they survive. But, do you think the insurance sales people care as long as you make the policy payments? If you’re kidnapped, they will be looking for every reason to void the policy due to your negligence. Also considering a lot of countries now have strict laws on dealing with kidnapping and ransom situations, the insurance policies are best taken with a pinch of salt and left for Hollywood to make movies about! 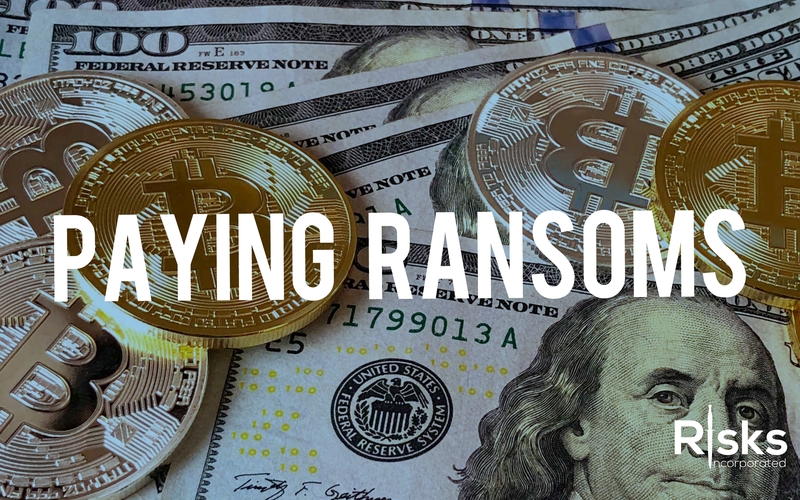 Most people who are unfortunate enough to be caught up in a kidnapping situation are not going to consider whether it is legal or not to pay the ransom, and if they could be breaking the law themselves by doing so. The fact is they could well be breaking the law in several ways. There have been numerous cases of Iraqis who have worked for U.S. forces in Iraq and have been actively targeted by terrorists being denied visas and re-settlement in the U.S. because they admitted to paying a ransom for a kidnapped family member. By paying a ransom for the release of a family member they provided “material support” to a terrorist group. The most publicized example of a corporation being fined for paying protection money to terrorists is that of Chiquita Bananas, who in 2007 were fined twenty-five million dollars by the U.S. Government. Chiquita Bananas had at one point several plantations in Columbia that were in areas controlled by left and right-wing guerrilla groups, so they ended up paying these groups for security. In reality, if they had refused to pay the guerrillas or brought in their own security contractors I strongly suspect the plantations would have gone out of business pretty quickly. Most governments have laws on their books that prevent the material support and even in some places meeting and negotiating with terrorist’s groups. What complicates things more is that most countries do not recognize the same groups as terrorist organizations. For example, the Revolutionary Armed Forces of Colombia or FARC is a U.S. recognize terrorist group but is not classed as a terrorist group by Russia. So, if a Russian citizen paid protection money to the FARC while doing business in Columbia, he could go on with his life in Russian with no problems, but he could be arrested if he visited the U.S. for providing material support to a terrorist organization. The United Nations legal definition for funding terrorism is as follows; a person commits the crime of financing of terrorism “if that person by any means, directly or indirectly, unlawfully and willfully, provides or collects funds with the intention that they should be used or in the knowledge that they are to be used, in full or in part, in order to carry out”, an offense within the scope of the International Convention for the Suppression of the Financing of Terrorism. There is also the issue of international money laundering and tax laws; will your tax inspector believe you when you tell them the thirty thousand dollars cash you withdrew from your account went to pay a ransom in Mexico? One area where there have been large ransoms being paid and it’s without doubt that percentages are going to Islamic terrorist’s groups is Somalia. Maritime piracy was one of Somalia’s main source of income, with ransom’s reportedly averaging between one to three million U.S. dollars per ship and crew. One terrorist group that is recognized by the U.S. and UK, reportedly link to Al-Qaeda and was actively involved in the piracy business is Al-Shabab. So, if you’re paying a ransom for a vessel that’s being held in Somalia, we can say your funding terrorism. Piracy has decreased drastically off Somalia, some say it’s because of armed guards on ships and foreign naval vessels patrolling the high-risk areas. It’s also declined because the Somalis invested the hundreds of millions of dollars in ransom payments they received into legitimate business. The policy of most governments is to never pay ransoms because it encourages more kidnappings, funds crime and terrorism, but if ransoms are paid for kidnapped individuals, they tend to look the other way or issue a reprimand, not criminal charges. I think the reaction would be a lot different though if it was established that a ransom paid to Al-Shabab or the like, was used to fund terrorist attacks on U.S., Western or Eastern European targets. The kidnapping business can be a very intricate business, where the stakes are extremely high for all involved. I cannot stress enough that if you believe you are at risk of being kidnapped you need to make sensible plans and take active precautions to prevent an incident. It is a far better strategy to try and prevent a kidnapping than to have to deal with a hostage and ransom situation, which can always become very messy, very quickly.